Eric Dierks and Magical Monte on course at TIEC. Photo by Leslie Threlkeld. 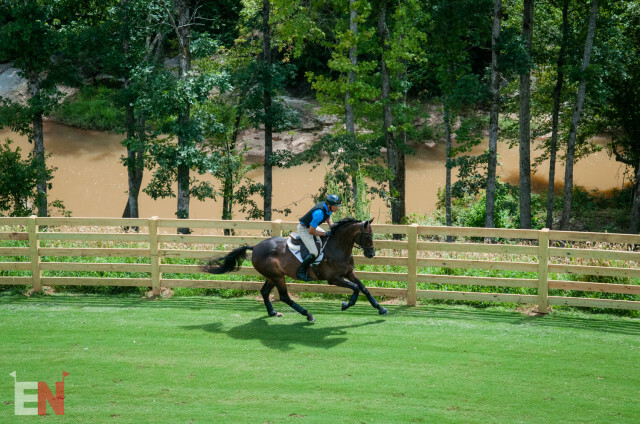 The cross country maps have been made public for the upcoming Nutrena USEA American Eventing Championships, presented by Land Rover, at the Tryon International Equestrian Center! 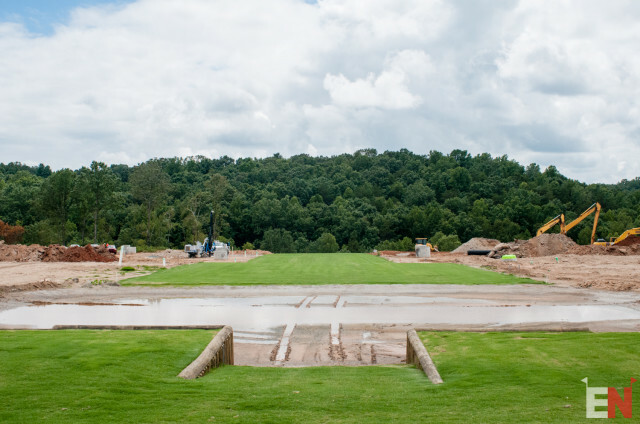 The courses, designed by Captain Mark Phillips, begin and end in the expansive Derby Field and have at least a couple efforts in the adjacent sand arena before heading out on the brand new cross country track. The Derby Field. Photo by Leslie Threlkeld. Intermediate and Advanced are the only courses to route down towards the river, where spectators will be able to view the course from above and follow the horses via elevated walking trails. All levels except Training tackle two water complexes, one in the Derby Field and the one in the photo below, which on the maps is shown to be bordered by residential buildings that have not yet been constructed. One of two water complexes. Photo by Leslie Threlkeld. Follow the links below to view the course maps for each level and click here to check out our preview and photo gallery of the track. Go Eventing.